The Ultimate Fighting Championship returned to England with UFC Fight Night 147 held at The O2 Arena in London on March 17 (AEDT). MMA event billed as UFC on ESPN+ 5 featured the six-fight main card following the preliminary card also comprising six bouts. Middleweight Tom Breese was forced to withdraw from his undercard bout against Ian Heinisch due to health concerns. 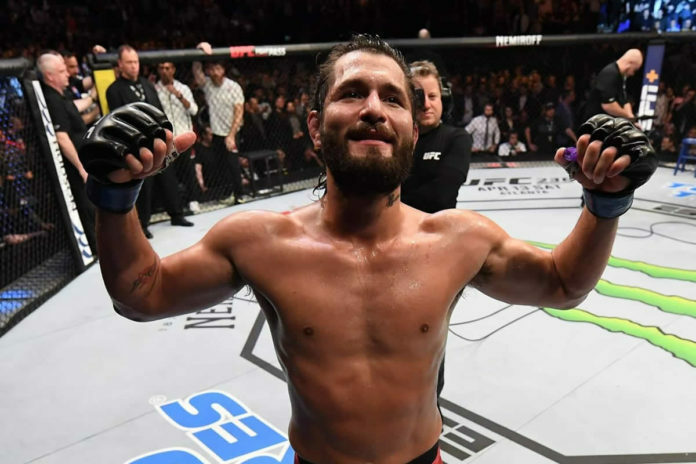 In the main event Darren Till and Jorge Masvidal faced off in the scheduled for five rounds welterweight bout. The contest ended prior the final bell with the latter earning the win by knockout in the second round. The co-main event featured another welterweight matchup between Leon Edwards and Gunnar Nelson. The bout went the distance with Edwards taking a split decision. The winners of the headline-bouts appeared to have enough fuel left in the tank for a backstage punch on. “Gamebred” was conducting an interview with Laura Sanko when Edwards allegedly interrupted him with some comments. Masvidal walked towards him and the punches were thrown. The video of the incident can be found below. Meanwhile some fans got “crafty” with editing the Wikipedia page of Masvidal giving him a second win for the night, Larry Brown Sports reported. This was the following “clever” edit made on the UFC London related Wikipedia page. Also on the main card Dominick Reyes took a split decision against Volkan Oezdemir, and Nathaniel Wood submitted Jose Quinonez in the second round. The complete fight results from UFC London can be found below.